 InvnTree is a thought leader in the Indian patent services landscape. Ever since its inception, our Company has strived to improve the patent consulting space in India by using avant-garde strategies. InvnTree has truly democratised knowledge about Indian patent laws and practices by publishing insightful content dealing with the nuances of patent practice in India. The content is not just referred to by patent practitioners and esteemed companies in India, but is also perused worldwide. Our monthly newsletter, EmbraceIP, includes extensive information related to Indian IP matters and reaches over 30,000 readers worldwide, which is a testimony to our team’s expertise and commitment to setting benchmarks in the patent consulting space. In late 2016, InvnTree launched OptiResponse, a revolutionary proprietary tool that exponentially increases the chances of having patents granted in India. OptiResponse is developed and used by Team InvnTree for the benefit of our clients. InvnTree’s investment in technology, by way of OptiResponse, has yielded rich dividends in a short span of time, catapulting InvnTree to a league of its own. InvnTree enjoys a significant market share having catered to 561 clients across 34 countries by the end of 2016, and continues to grow year after year. Our Company has shown sustained growth by nurturing and retaining what we consider our most valuable asset, our human resource, and encouraging them to be at the forefront of Indian patent consulting. Thank you for being our IP partner since the inception of Snapbizz in 2013! I am happy that our relationship has only grown stronger since then. The tactful development of patent and trademark portfolio has gone a long way in securing our business interests. I wish to continue our relationship in the years to come. As a small self-funded start-up, our search for a patent consultant whose costs were affordable, without compromising quality, ended at InvnTree. We are particularly impressed with their ability to understand the design quickly and accurately, and distil the essential elements into the patent application. We are very satisfied with InvnTree’s services, and would recommend them without hesitation. At Zifilink we built Stanford GSB award winning technology. However before commercializing the technology we wanted to secure it with global patents. We were looking for a firm which could handle global patents and be startup friendly. After careful evaluation we selected InvnTree. They filed multiple patents in three geographical regions for ZifiLink. Happy to work with the professional and startup-friendly team of InvnTree. time-lines. They have good technical expertise as well and contributed well to drafting of patent specifications. I recommend InvnTree for any patent related work. We have known Invntree for about 3 years now. We have worked with other Patent firms and we can confidently say that Invntree is by far the best and above-par in comparison.They are a very thorough and meticulous group of professionals. Not only did they understand our complex technology idea correctly but could also articulate it in the best possible way with all the nuances of patent filing in place. We take this opportunity to highly recommend them for their excellence in what they do and their highest quality of service. IP is at the core of Ikaaz’s technology and business, and hence wanted to engage with the very best to take care of our requirements. InvnTree was introduced to us by a highly placed source, and we haven’t looked back since then. They have played a major role in aligning our IP strategy with that of our business. Their team is very meticulous in the way they approach and execute projects. They have been very responsive to our growing requirements. I highly recommend​ InvnTree for intellectual property consulting.